Despite short time in Southern Vietnam, you still get to see a hustle and bustle of Ho Chi Minh City as well as a picture of this city from beginning, through wars and development to become the biggest city of Vietnam. A day trip to Glamorous Ben Tre offers great chance to learn about local lifestyle of the fascinating land – Mekong Delta. Welcome to Vietnam! You will be greeted by our tour guide upon arrival Ho Chi Minh City, the biggest city and commercial center of Vietnam. Check in your hotel then you’ll have a restful overnight at a hotel in Ho Chi Minh. After breakfast, our tour guide and driver will pick you up at 7.30 am at your hotel then depart for a smooth ride to southern Ho Chi Minh City. After about one hour drive, we will stop to visit Vinh Trang pagoda- one of the best-know pagodas in the region. It is great chance to learn about Buddhism practice in Vietnam, also, admire the beautiful architecture of this pagoda. Next, rejoin your vehicle and move to Ham Luong Pier in Ben Tre Province. 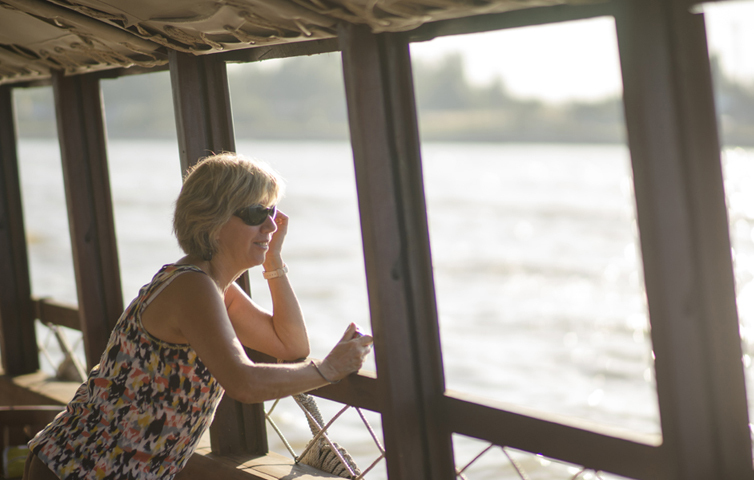 Upon arrival, take a cruise on Ben Tre river to explore the lively activities along river such as fishing, transportation activities. Along the river, we will make several stops to explore cottage industries such as making brick in a traditional way and coconut processing factory. The boat will continue to take you deeper into the countryside and smaller canals, finally drop you at a small village to enjoy the peaceful atmosphere of this area. Take a walk to local family who makes sleeping mats then enjoy some fruits and tea. Lunch will be served at a local family. In the afternoon, riding a motor cart(xe loi) or bike on shady paths, pass by green rice fields and vegetable plains to experience more life of local people. Enjoy a relaxing rowing sampan ride along canals before boat back to Ham Luong pier. Finally, return to your vehicle for your transfer back to Ho Chi Minh City. After breakfast, our guide will meet you at the hotel then take you to the most highlighted places of Ho Chi Minh City. The story of Sai Gon will start with visit to War Remnants Museum where the darkest pages of city revealed. Next, visit other iconic symbols of city including Independence Palace, Notre Dam Cathedral, Central Post Office. Immerse yourself in the chaos of traffic and commercial activities of this fascinating city’s life and lights that never seem to stop. Afternoon will be free at your leisure. End of service.